At night rocking Jonas to sleep I think where would he be if he weren't here with us? What might he have to endure if he never made it to the orphanage? He could have been one of those children struggling to live! Instead I watched him playing in the sink washing his hands for the 100th time endless amounts of water he and all of us here have access too. It amazes me to think all what is going on in the other parts of the world while we have so many luxuries we take for granted. While we are getting ice cubes for our water they are without! It makes me sick! 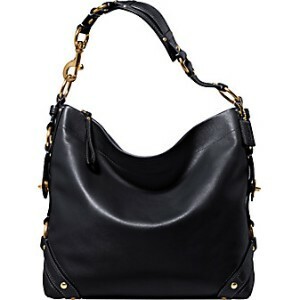 For just $5 you can enter to win this authentic coach bag. Go to http://onepurse.org/ for details. Click on the bracelet link at the top left, or donate any amount via the donate button below it. The bracelets say "I love you" in Amharic (main Ethiopian language). You are able to see the friends we are helping over in Ethiopia at Trees of Glory.